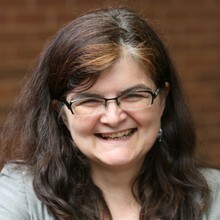 A law professor at the University of Minnesota, Jennie Green formerly served as Staff Attorney at the Center for Constitutional Rights. While there, she specialized in international human rights legal actions—primarily lawsuits in U.S. courts against human rights violators. Her most high profile case was against John Ashcroft and other U.S. government officials responsible for the post-9/11 arbitrary detention by the Immigration and Naturalization Service of thousands of non-citizens. Other successful cases have included those against Unocal, Royal Dutch/Shell, former Bosnian Serb leader Radovan Karadzic, former Chinese Premier Li Peng, former Guatemalan Minister of Defense Hector Gramajo, and former Haitian dictator Prosper Avril. She has also worked on international human rights claims for organizations such as the International Tribunals for the former Yugoslavia and Rwanda, the United Nations Commission on Human Rights, and the Inter-American human rights system. From 1992–1995, Green served as the Administrative Director at the Harvard Law School Human Rights Program. She has worked for a wide range of nongovernmental human rights organizations, including Amnesty International.